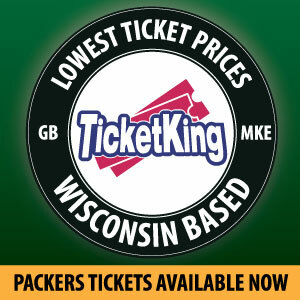 For as long as Aaron Rodgers has been under center, the Green Bay Packers have had an effective passing game. The future hall of famer has successfully elevated receivers around him, but has also benefited from having quality pass catchers around him. Jordy Nelson, Greg Jennings, James Jones, and many others have brought high levels of experience and valuable veteran presences throughout Rodgers’ career in Green Bay. But that story will be slightly different in 2018. Nelson was released early in free agency, leaving Randall Cobb and Davante Adams as the only receivers with significant professional experience left on the roster. Adams has developed into a true number one, and Cobb remains a versatile threat out of the slot and backfield. Receiver-turned-running back Ty Montgomery can also play multiple positions, but the Packers’ offensive success will likely fall on how well their younger crop of receivers can perform in 2018. And that is also dependent on Cobb and especially Adams avoiding major injuries. 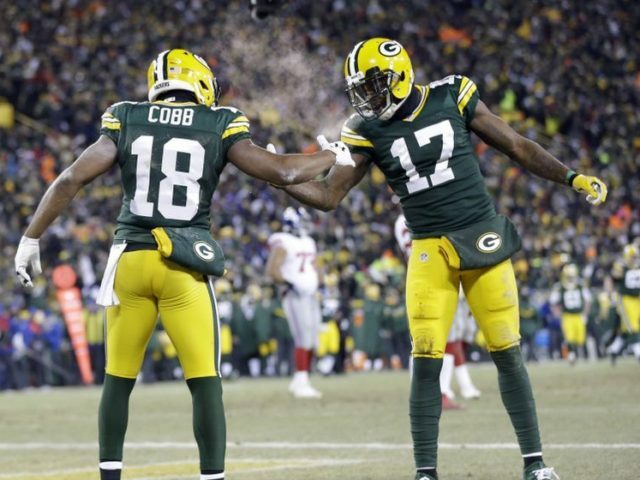 Rodgers has already demonstrated excellent chemistry with his top two receivers, so both Adams and Cobb can be expected to have solid years as the top two pass-catchers. But beyond them, the rest of the wide receivers currently on the roster have little proven ability. Geronimo Allison is the next longest-tenured wide receiver, as he enters his third year in the league. He should see increased targets with Nelson no longer on the team, and has demonstrated potential in limited action. He had a 122 yard performance against the Bengals last year–including a clutch 72-yard catch in overtime–and ended the 2016 season with two strong games as well. The Packers will therefore look to veteran presences at the tight end position to help elevate Green Bay’s passing game. The team added Jimmy Graham in free agency, who could help fill Nelson’s role as an excellent red zone receiver. Lance Kendricks will also begin his second year with the Packers and bring eight years of professional experience to the team. Green Bay will aim to rely on Adams, Cobb, Allison, and Graham as their primary pass-catchers in 2018, but the Packers need at least one of their young receivers to step up as at least a solid role player. Green Bay selected three wide receivers in this year’s draft: J’Mon Moore, Marquez Valdes-Scantling, and Equanimeous St. Brown. Michael Clark, a second-year player who spent most of last year on the practice squad, will also vie for a final roster spot. Trevor Davis is entering his third year, but has been almost exclusively used as a return man over his first two years. Moore ran a sub-4.5 40-yard dash at his Pro Day, and could help the Packers’ offense find another deep threat. St. Brown, Valdes-Scantling, and Clark all stand taller than 6’5”, which could make them big targets on the outside for Aaron Rodgers. Given that all three rookies were taken in the later rounds of the draft, it is unlikely that all (or even one) develop into a star receiver. But Green Bay is banking on at least one of them panning out–especially if Adams or Cobb is hit with an injury in the upcoming season. Rodgers has shown an ability to improve the play of his receivers, but the Packers will obviously hope that wide receivers can make big plays in their own right as well. Jimmy Graham should help elevate the receiving game by creating mismatches from the tight end position, while Adams aims to continue his ascent toward becoming a top-10 receiver in the league. If the veterans can play up to their potentials and stay healthy, and at least a couple of the younger receivers show promise as role players, Aaron Rodgers and the Packers’ receiving corps can get back to being one of the top units in the NFL. This entry was posted in Packers 2018-2019 Season, Sean Blashe and tagged Davante Adams, equanimeous st. brown, Green Bay Packers, J'Mon Moore, Jimmy Graham, Randall Cobb, Wide Receivers. Bookmark the permalink.